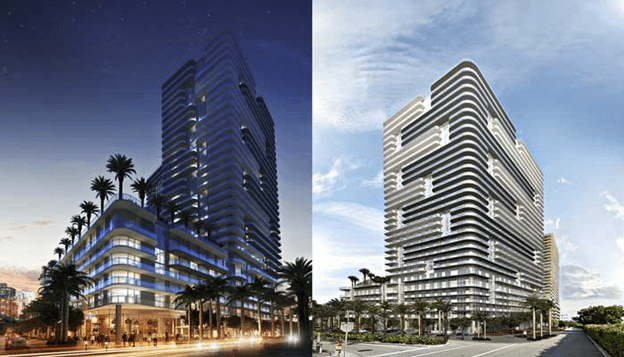 Muse Residences in Sunny Isles Beach. Design and artistic mastery curate the experience awaiting you at Muse. Within each home, throughout every common space, and surrounding the private sands, lies a unique encounter. 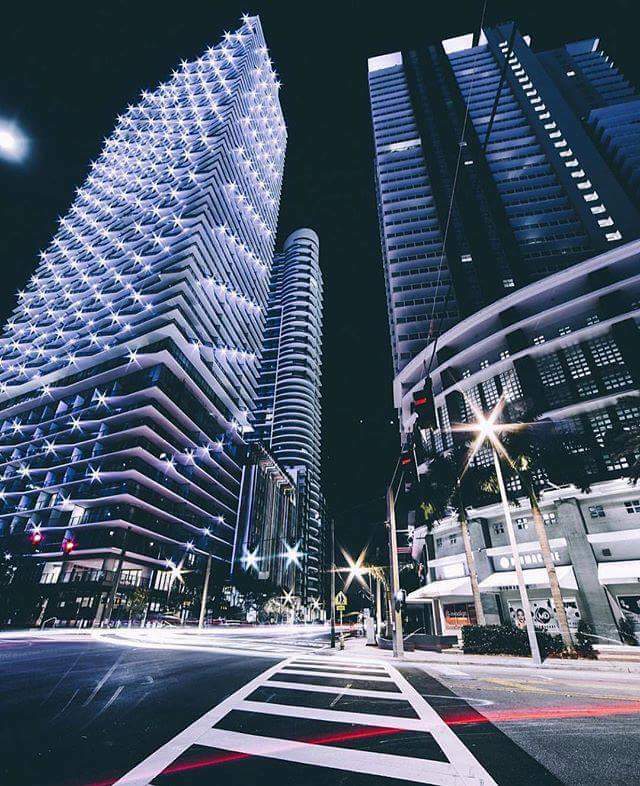 A fusion of art and unprecedented technology offers a lifestyle of modern elegance, set within the tranquil exclusivity of Sunny Isles. General Contractor: John Moriarty & Associates of FL INC. Developer: Property Markets Group and S2 Development. Expertly designed floor plans for maximum efficient use of spaces and views, Open concept kitchen design with convenient breakfast bar, Floor-to-ceiling walls of tinted glass lining all residences’ exterior walls, Spacious walk-in closets, Pre-wired for high-speed communications, Touch-screen monitor for direct access to concierge services, Large capacity stackable washer and dryer, Spacious soaking tubs and frameless glass enclosed showers in master baths, Imported porcelain flooring, base and walls in wet areas. 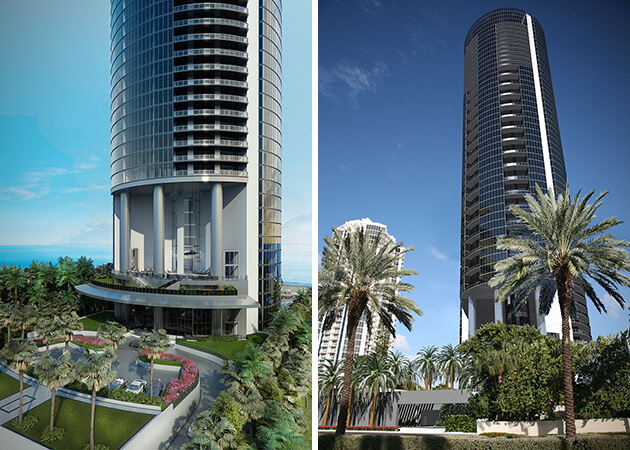 The 308-unit tower at 18975 Collins Ave is a 60-story condo tower on the oceanfront in Sunny Isles Beach. 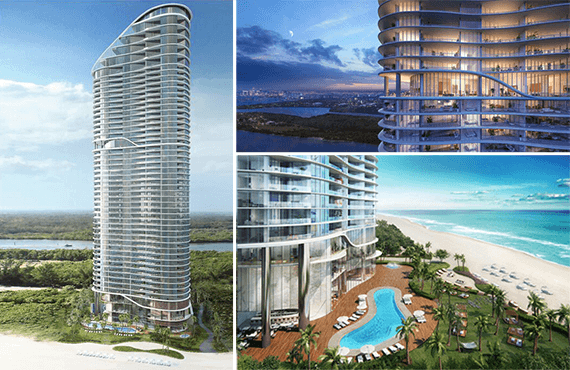 This is sophisticated project designed by César Pelli will open by the end of 2018. 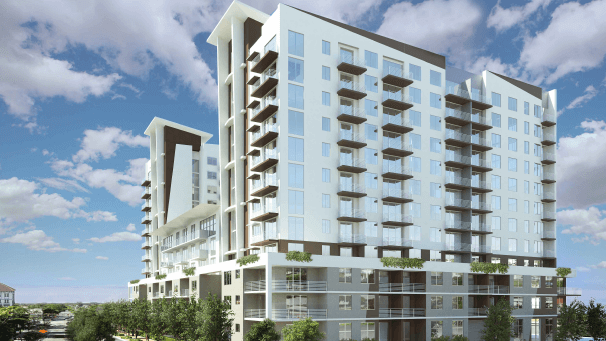 The 43-story tower at 340 S.E. 3rd Street will feature 391 apartments, plus retail, restaurants and an 18-screen Silverspot Cinema. 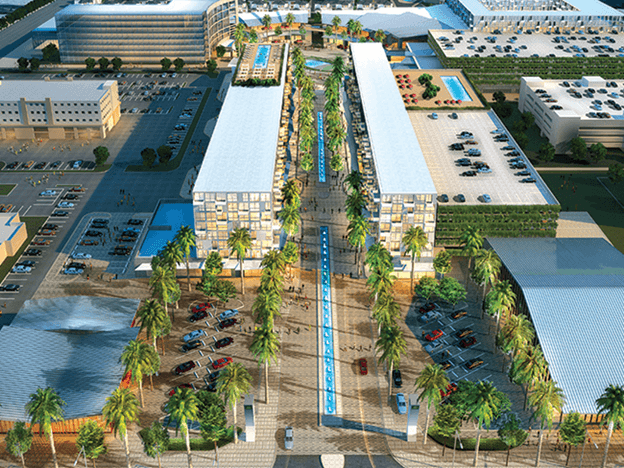 CityPlace Doral is a master-planned center for upscale living, dining, entertainment and shopping located in the heart of Doral. With over 40 first-class retailers and restaurants to choose from, CityPlace Doral is the latest entertainment hub to open in South Florida. Two, Thirteen story rental apartments with open courtyard, first floor retail area. 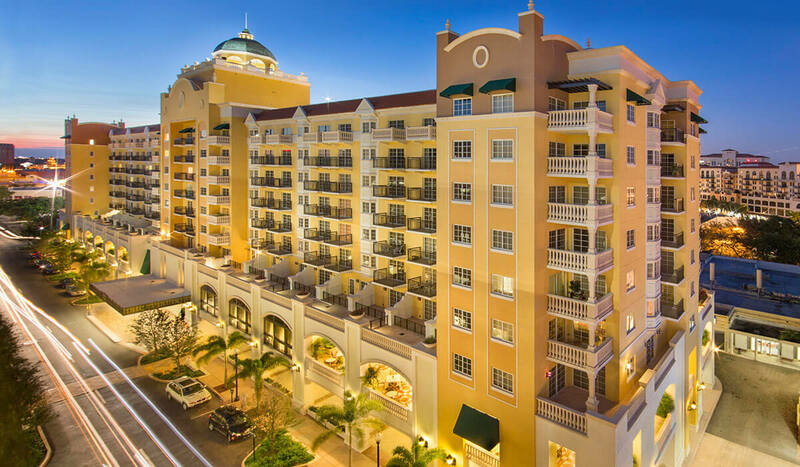 Two, six-story condo/resort buildings with open courtyard, Gourmet dining, signature restaurants and coffee shop on property. UEC was involved in all Electrical/Low Voltage work completed at Costa Hollywood. UEC also installed a full Audio/Visual system as well as lighting control. 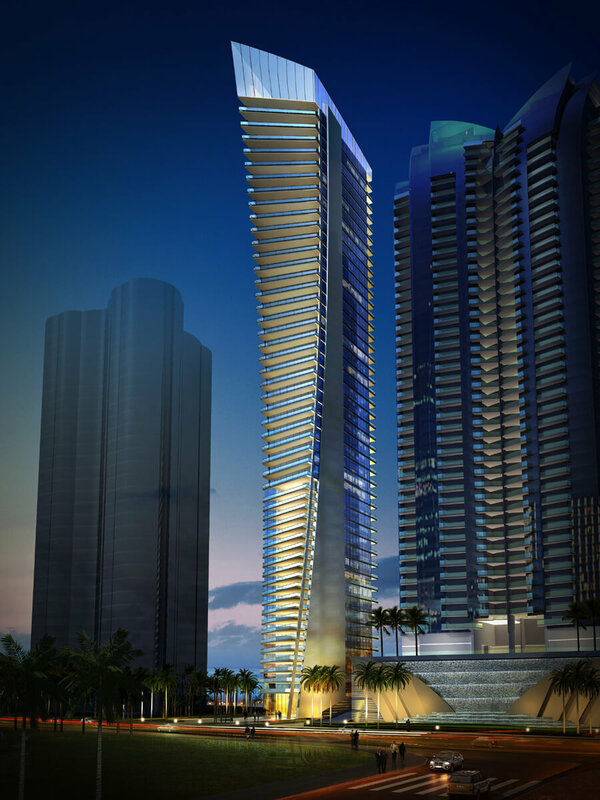 FENDI CHATEAU Residences is the alternative to the luxury development construction cranes reaching high into the sky throughout Miami. 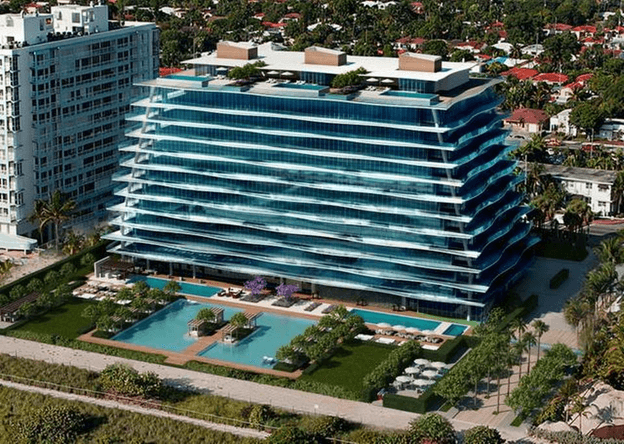 Steps away from Bal Harbour, this boutique development will rise just 12 stories and feature 58 exclusive flow-through residences right on the beach. 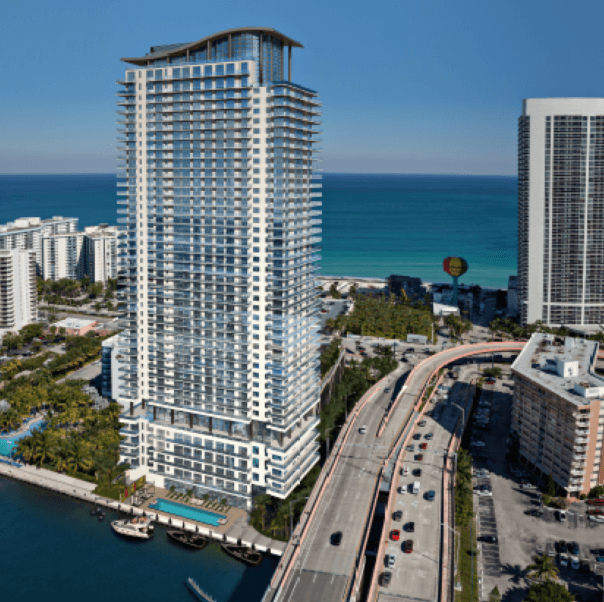 Palau Sunset Harbour is a luxury South Beach waterfront condominium residence, overlooking the Sunset Islands and Biscayne Bay. 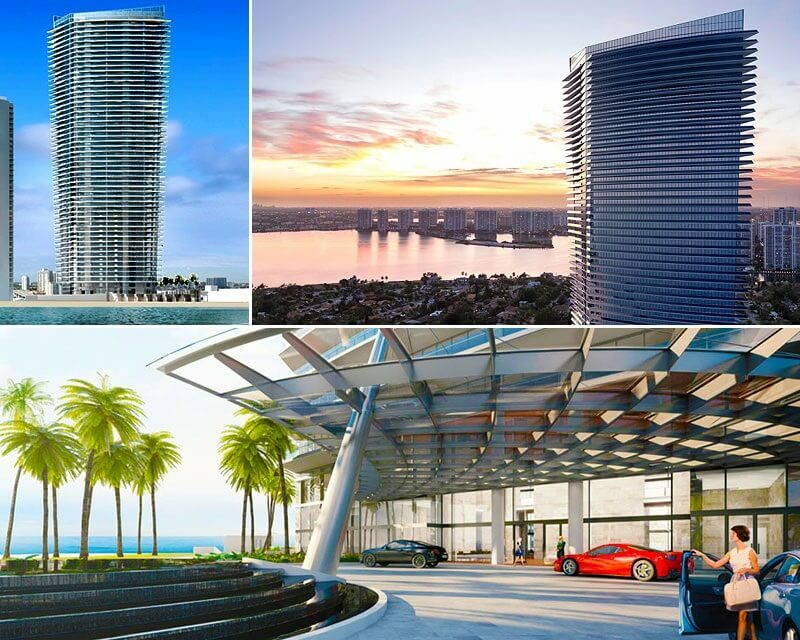 These 45 unique residences have spacious floorplans, state of the art amenities and beautiful views. 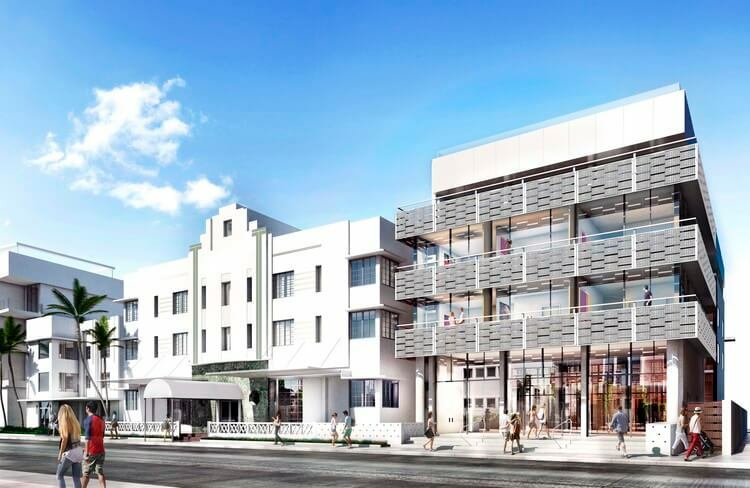 General Contractor: GT McDonald Enterprices INC.
Silverspot Cinema will be located at 300 SE 3rd Street Miami in the 113,508-square-foot building on the northeast corner of Southeast Fourth Street and Southeast Third Avenue. 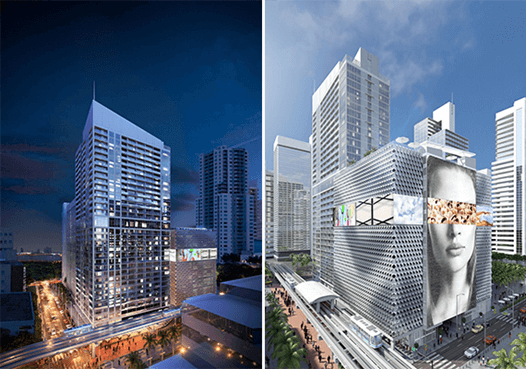 It will occupy 76,237 square feet in MDM’s Metropolitan Miami project. 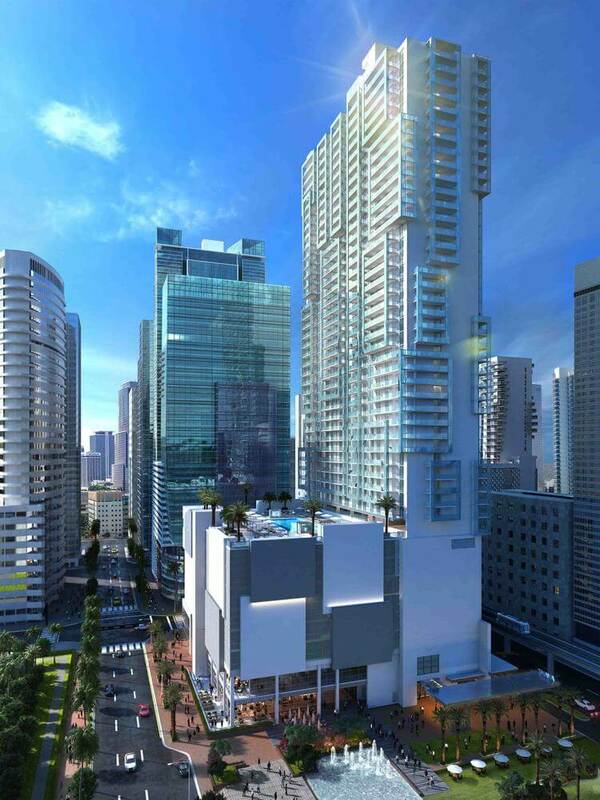 The property at 300 Biscayne Boulevard will include condo and rental components. As it’s tentatively named, Vice, a 464-units “New York-style” apartment building. 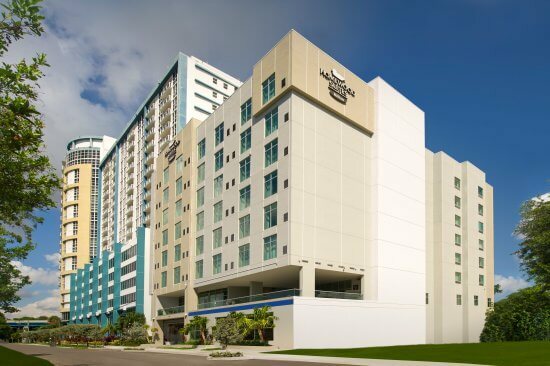 An 8 story luxury Marriot hotel with basement mixed used 150 –guestroom hotel and retail. 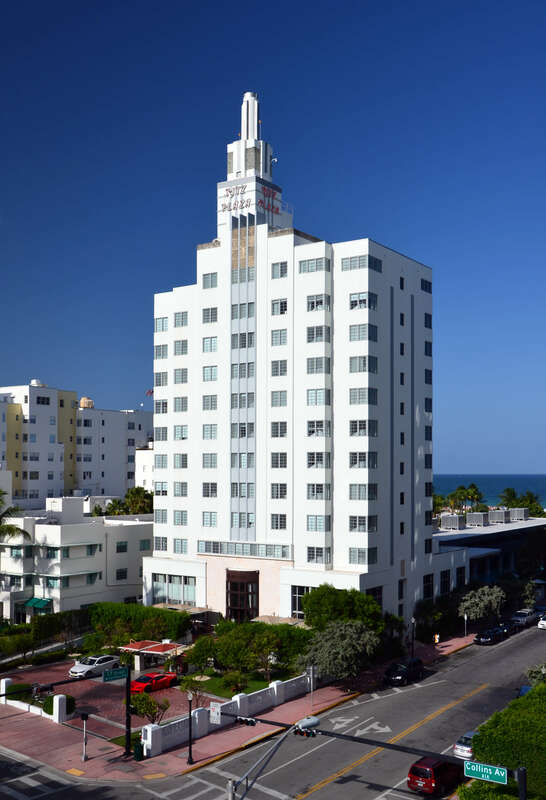 A historic 8 story building renovated near the beach, includes a fascinating roof sun deck. 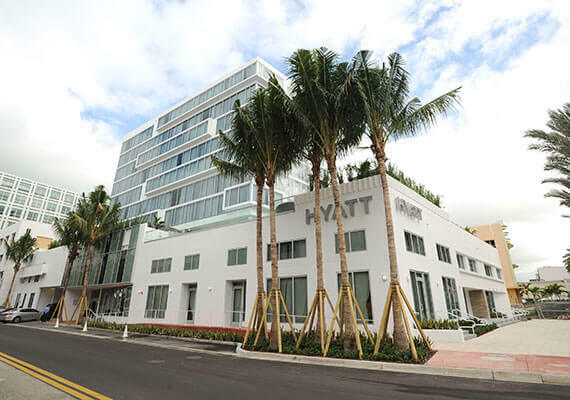 A thriving boutique hotel in South Beach is expanding into the Betsy Hotel beyond, and adding several layers. This project involved the preservation and rehabilitation of the historic hotel building, and the addition of new structures on the northern and southern portions of the site as well as on the roof. General Contractor: RCC Associates, INC.
Fi’lia by Michael Schwartz features honest Italian, highlighting fresh ingredients from the hearth, artisanal breads, pasta, table-side tossed caesar salad, refreshing cocktails and wines with a nod to Italy and the old world. 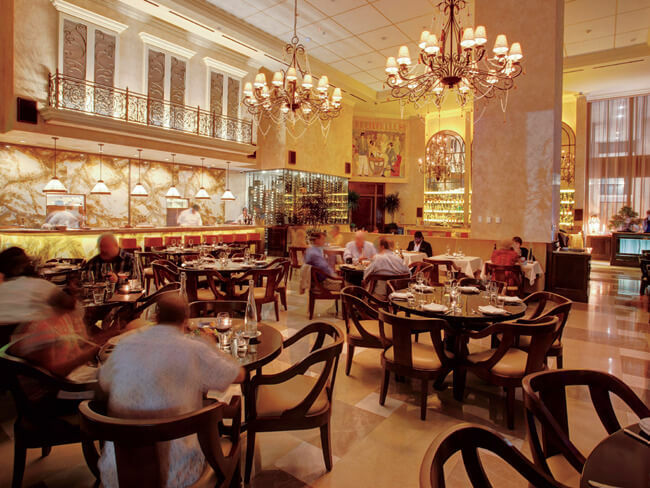 The restaurant celebrates the very best of what Chef Schwartz dining experience represents – a fresh and pure approach to food and and drink served in an unpretentious setting. 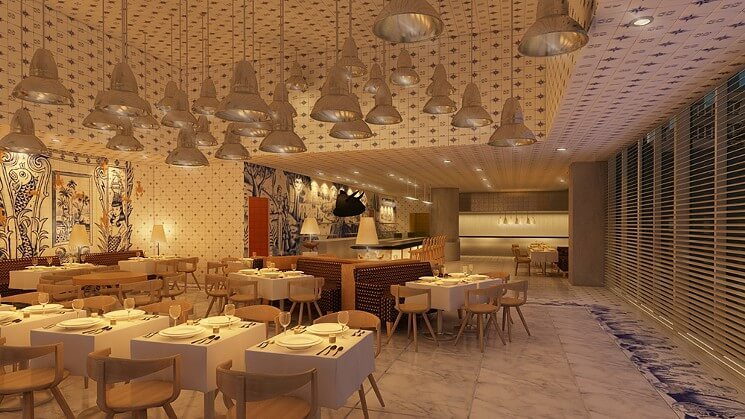 Bazaar Mar by José Andrés brings the bounty of the ocean with a seasonal emphasis on Miami and the Caribbean to your table with everything from ‘sea snacks’ like ceviches, seaweeds and tiraditos to whole fish prepared in a variety of ways and a extensive raw bar. Hand-crafted cocktails join a curated list of Spanish and international wines to complement the cuisine. 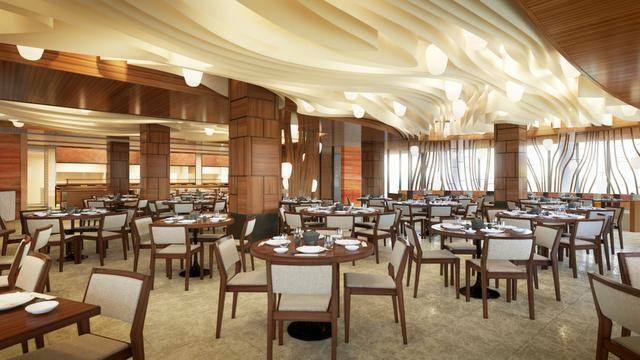 Nobu has become the hottest place to dine in miami beach. 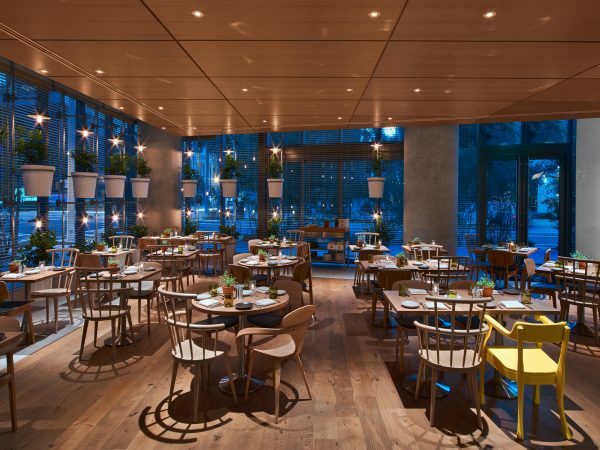 inspired by his classical training in tokyo and time abroad in Peru, Chef Nobu Matsuhisa continues to bring Japanese-fusion cuisine to life with an extensive menu of inventive dishes and bold cocktails. guests unsure about what to try first are encouraged to ask our servers, who can often be heard recommending the yellowtail with jalapeño or black cod saikyo miso. Complete ground up bank. All systems, security conduits, fire alarm, lighting, and site lighting. Commercial building and parking garage. Complete office build-outs, lighting control systems, fire alarm systems, and generator systems. Class A office build-out with computer room, fire alarm , lighting controls. Ft .Lauderdale, 10 story office building and parking garage. Complete system, Fire alarm, smoke controls, generator, lighting, lighting controls, and all utility relocations. 15,000 sq. ft. with site and site lighting. Renovation of existing structure. Complete in 60 days, all systems, Clock, Intercom, fire alarm, lighting, site lighting. Sun-Life Stadium renovations. Suite, vendor, retail, and common area renovations. 10,000 S.F located in ground floor Epoc Building, Miami. Electric and fire alarm, lighting design/engineering, lighting controls; programmed in house with Creston controls. Complete ground up with site lighting, fire alarm, and lighting controls. Ft Lauderdale. 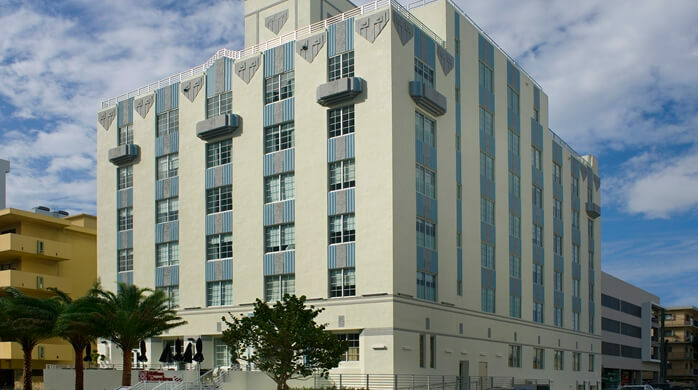 Complete renovation to existing waterfront building, fire alarm, and site lighting. 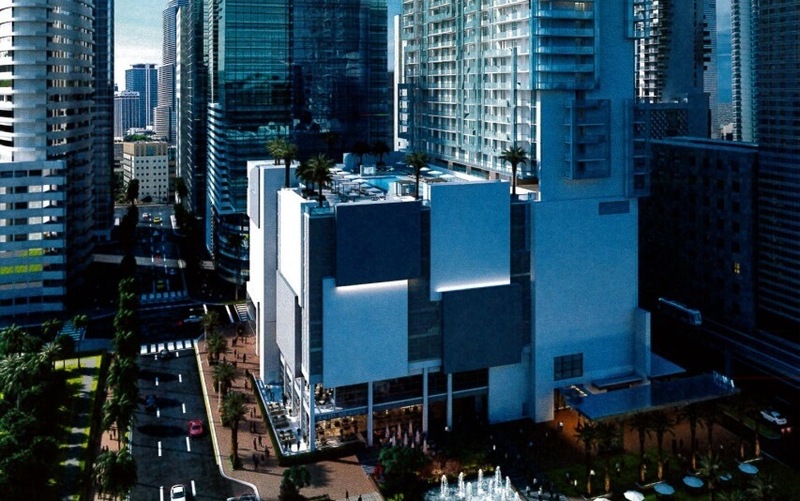 Boca Town Center, Aventura, Ground up restaurants attached to existing malls. Complete lighting, fire alarm, lighting controls, shade controls. Full AutoCAD As-built drawings. Complete ground up with site lighting, fire alarm, lighting controls, lighting and dimming system design and programming; Lutron system. Mizner Park, Boca Raton. 8,500 S.F high end restaurant, complete including water feature, lighting controls designed and programmed in-house Lutron. Mizner Park, Boca Raton. Complete renovation to existing building. Palm Beach, Complete build out in new building. Lighting controls, fire alarm, and expedited schedule. 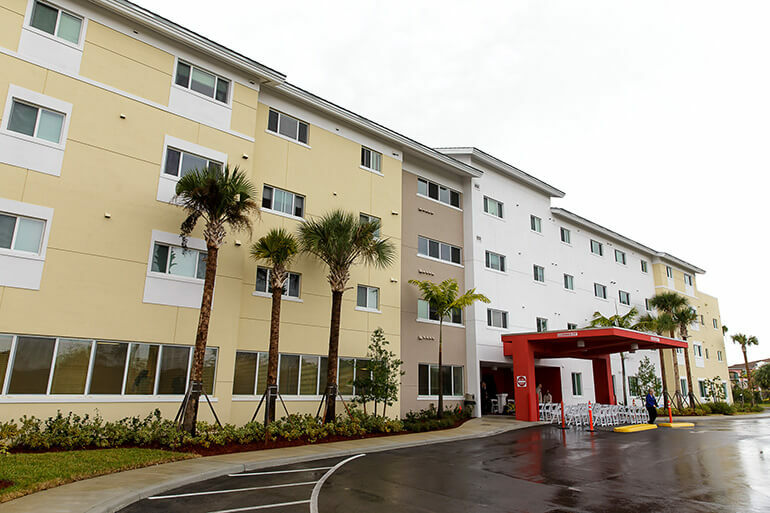 Ft. Lauderdale, complete renovation to existing building. lighting, fire alarm and controls. Renovation to existing historic building and marina. Complete, fire alarm, coastal type construction below flood plane. 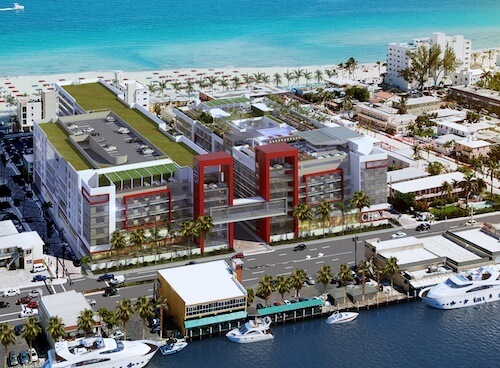 Multiple buildings with combination of new and existing electrical utilities, and marina renovations. Renaissance commons, 700,000 S.F retail/office/parking. Complete site and shell building construction fast track schedule. 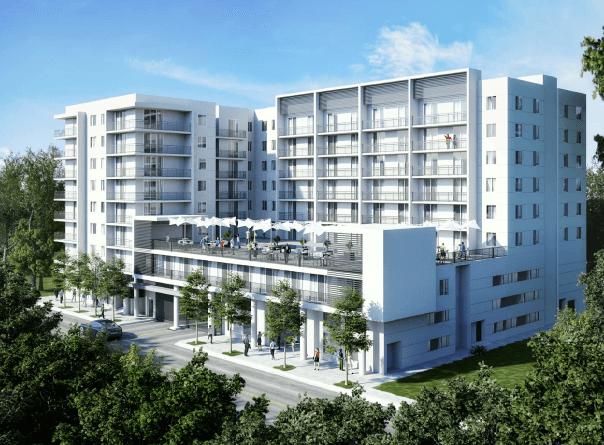 Fire alarm, site lighting, parking structure, and office build-outs.